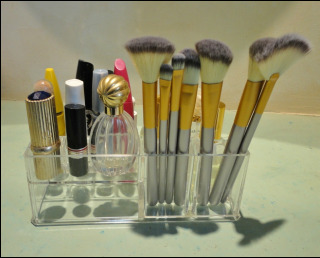 I keep my make-up items in bags, drawers, boxes and jugs, however, there is never any order in the chaos and, somehow, the item I want is always at the bottom of everything. 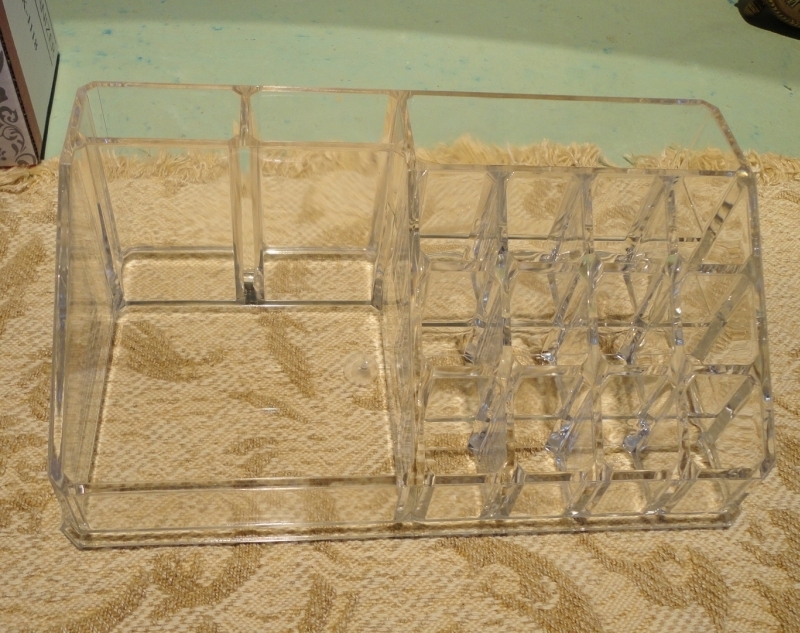 When this smart caddy arrived for my evaluation, I liked it immediately. 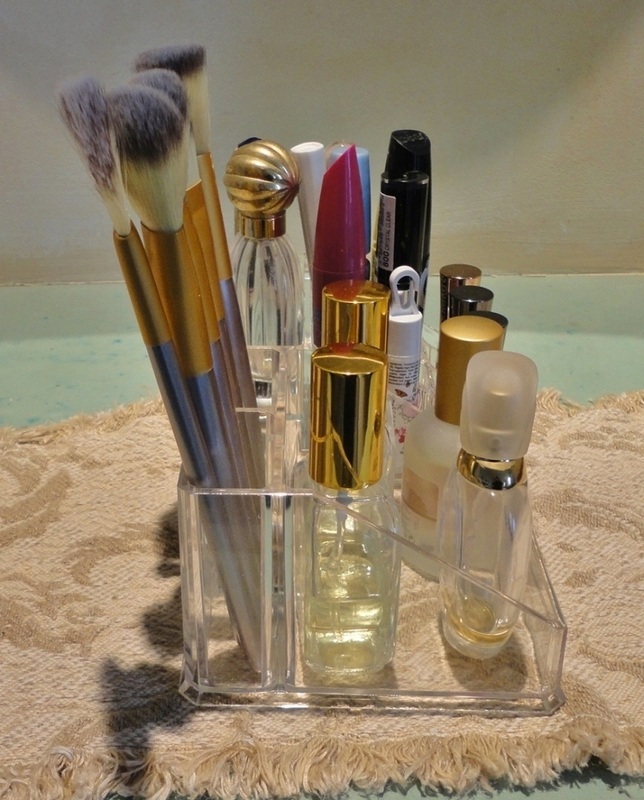 This 16-slot organizer, made of clear acrylic in a three-step design, holds a surprising amount of small bits and pieces and looks sensational on my vanity tabletop. 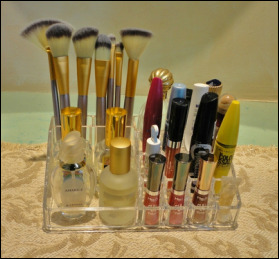 In this 16-compartment caddy, 12 of the slots are small and shallow, ideal for a lipstick, lip gloss, mascara or anything in a narrow tube. 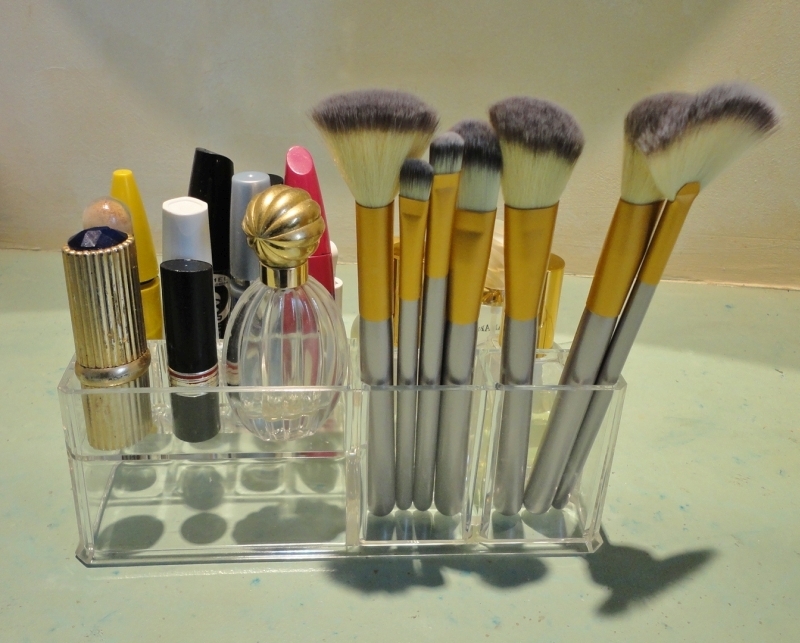 At the back, 1 slot is wide and deep (good for make-up brushes) and 2 more are wider but shallow; and finally the front section is suitable for larger items, compacts, cream jars, and similar. 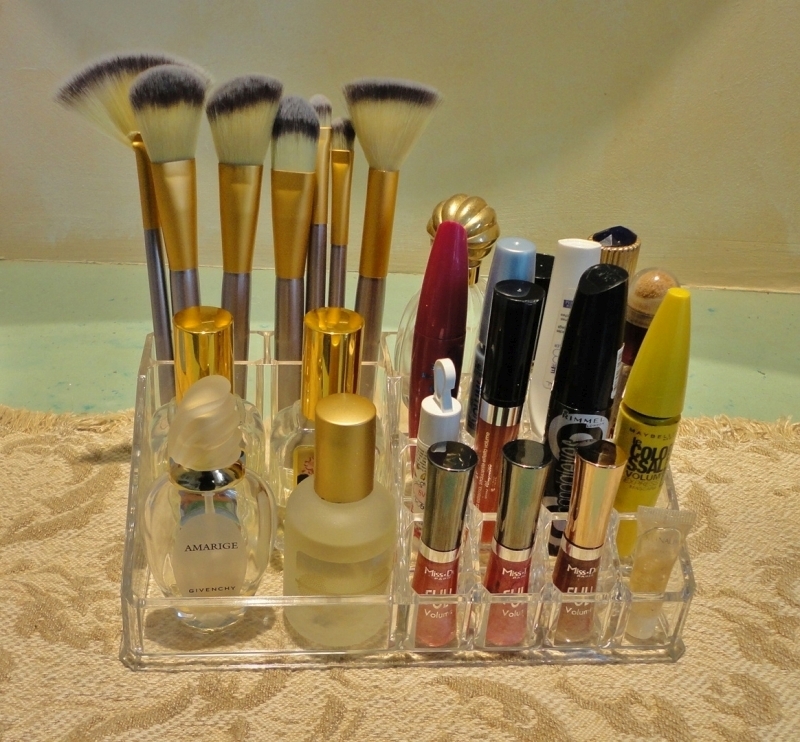 Good-looking, practical, customizable and, ultimately, a real time-saver.